At Kindness Animal Hospital, our mission is to fulfill the needs of our clients by providing high quality health care services for their pets through a responsive, caring, and professional staff with emphasis on individual attention. From routine preventative health care to advanced general and orthopedic surgery, we strive to help ensure that your pet is as happy and healthy as can be. Dr. Rick Odegard and Dr. Theresa Fakler are highly skilled in diagnosis and are knowledgeable about the most advanced and best treatment methods available for your pet. Kindness Animal Hospital was founded in 1985 in Grand Forks by Dr. Rick Odegard. Since then, we have worked hard to build our reputation as the finest veterinary facility in the area. Our veterinarians are members of the AVMA (American Veterinary Medical Association) and the NDVMA (North Dakota Veterinary Medical Association). They also attend continuing education courses on a yearly basis to learn about the newest and most advanced diagnostic and treatment options. We moved into our new hospital in May of 2011. This new hospital is extremely well equipped to provide the best diagnostic services and medical and surgical care in the region. We have state of the art digital general x-ray and digital dental x-ray equipment. Our laboratory equipment is also state of the art which allows to get test results very quickly so we can start the proper treatment sooner. Our dental and surgical suites also allow us to provide the best dental and surgical care. We know how much you care about your pet because we care about them too. That is why the entire staff at Kindness Animal Hospital will do our absolute best to keep your pet healthy. 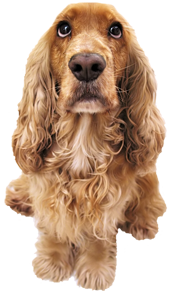 While caring for your family pet we will work with you to help you make the best decision to care for your pet. Kindness Animal Hospital is proud to serve the Grand Forks ND area for everything pet related. Our veterinary clinic and animal hospital is run by Drs. Rick Odegard and Theresa Fakler, who are licensed, experienced Grand Forks veterinarians.